Not every princess gets a fairy tale ending. 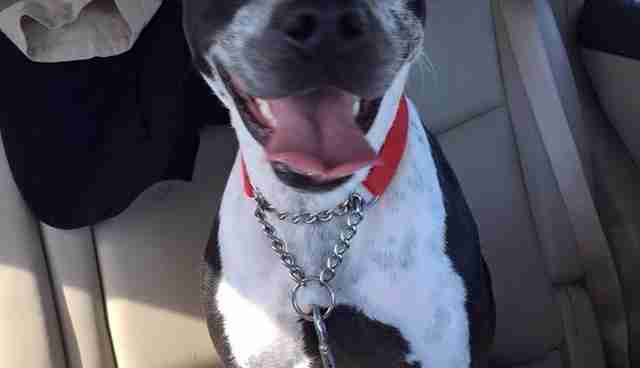 But for this 1-year-old pit bull mix, her hero couldn't have come a moment too soon. As The Dodo reported yesterday, Princess was a stark example of a dog left too long in a shelter. After she arrived at the Collier County animal shelter in August, it took weeks for staff to draw her out of her shell. 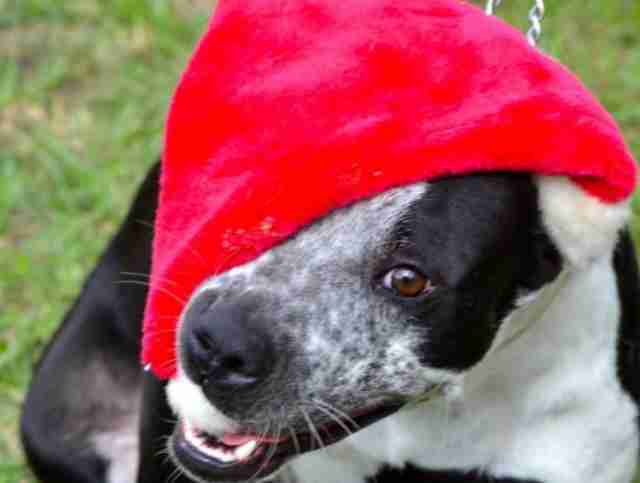 When she did, the results were as you might expect: a dog with an irrepressible lust for life. But her awakening proved fleeting. Princess began showing signs of shutting down - a phenomena often seen in dogs who spend too long in the shelter system. Princess began hiding under her bed. 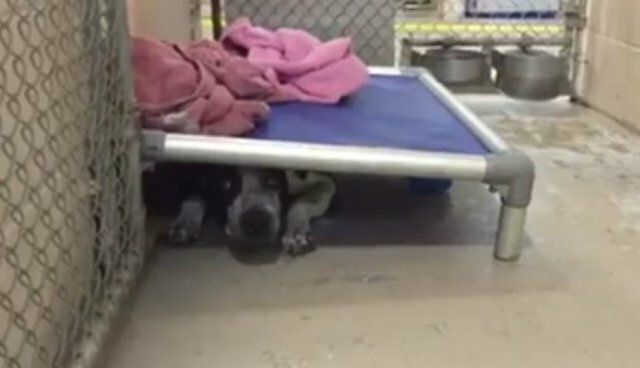 "When I saw the video of her back under her bed like she was when she first came in, I wouldn't believe it if I hadn't seen it," Susan Barr, who volunteers at the shelter, told The Dodo. But that unsettling image of a dog too terrified to come out from under the bed reached a wide audience. The story was shared thousands of times. 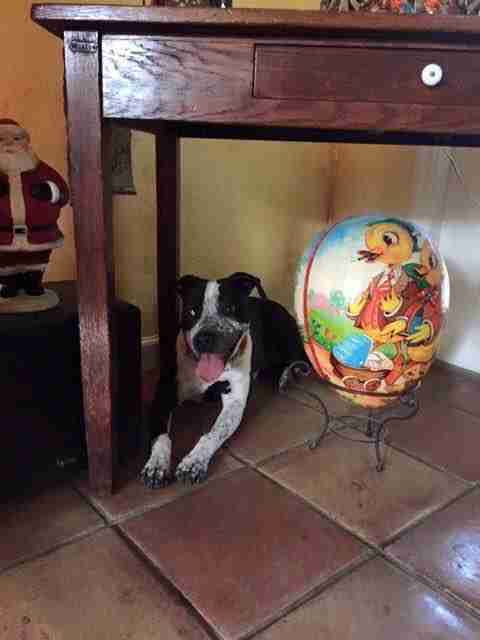 And, fewer than 24 hours later, a picture of Princess reached Carol McGeary of Naples, Florida. "Someone posted her picture under the bed on Facebook and I said, OK I just have to get that dog.' And that was it," she tells The Dodo. "My husband pretty much goes along with anything I say." Today, Princess' arrived at her new and forever home - a house with two-and-a-half acres of fenced land. Not to mention chickens, hens and turkeys. And another, older pit bull. But McGeary understands if Princess doesn't take to the great open spaces right away. "When she goes to lay down, it's always under a table or under a bed," she says. "We're going to put her in a crate at night. "For a while. I think she'll like that." Take your time, sweet Princess. And welcome home. Support Friends of Collier Domestic Animal Service, the volunteer group, who helped make Princess's forever home possible, by visiting their Facebook page.